Bitcoin has come a long way since its initial release in early 2009. As the price has risen from $0 to $8,500 at the time of this writing, so too has the software, hardware and hype evolved surrounding the whole bitcoin ecosystem. Bitcoin mining is incredibly competitive at present. If you are determined to start mining bitcoin, you need to do an accurate numerical analysis beforehand, have your finances in order and make smart decisions. There are online profitability calculators to help with this. Generally, it is only profitable for those operating large mining operations or those with free electricity at this late stage. In most cases, it makes more economic sense to buy bitcoins than to mine them right now. 3 What is a Bitcoin ASIC? 7 Bitcoin Mining Without Hardware? Miners are the glue that holds the bitcoin ecosystem together. They are the ones who ensure that the blockchain is secure and all transactions are valid. In return, they are rewarded with new bitcoins. New bitcoins are mined by the miners when they solve a block. A block is a list of transactions, and a transaction is a transfer of bitcoins (BTC) from one wallet address to another wallet address. The miners verify transactions with mining rigs that solve these equations. Solving the equations involves guessing the answer at as fast a speed as possible, determined by the hash power of the individual mining rig. The higher the hash rate the more hashes generated per second, increasing the chances of solving the puzzle. Mining bitcoins is incredibly energy intensive and the cost of electricity is huge. The difficulty of mining bitcoins is adjusted over time, so that a certain number of bitcoins is released in a steady flow. Every 2 weeks (or 2016 blocks), this difficulty level is adjusted to maintain a constant flow. Initially, it was possible to use CPU’s to profitably mine bitcoins. Over time, the network grew with more and more miners. The bitcoin difficulty level was adjusted, and it was no longer profitable to mine bitcoins with a CPU. Next came GPU (Graphic Processing Unit) mining. GPUs are found in gaming laptops and are dramatically faster than CPU’s. Even basic GPU’s are about 200 times faster than good CPU’s. But over time, even GPU’s became obsolete due to the network difficulty, though they were in use for a long time and are perfect for many other cryptocurrencies. After GPU’s came Field Programmable Gate Arrays (FPGAs). These models first appeared in the bitcoin mining space around 2011. Their success was short lived though they are much better than both GPUs and CPU’s. While their Hash Rate was not that much faster than that of a GPU, their efficiency was far superior which saved on electricity costs. They were 3 times more efficient than GPU rigs. And then at last, there were the ASICs, which signaled the transition of bitcoin mining from a personal hobby of technology enthusiasts to an industry in itself. This happened around 2012. ASICs are the current standard and will be for the foreseeable future. What is a Bitcoin ASIC? There are parallels between FPGA’s and ASICs. ASICs are Application Specific Integrated Circuits, customized for a specific use. In this case, they are specifically designed to mine bitcoins. Bitcoin uses SHA 256 (Secure Hash Algorithm 256) encryption on its transactions, and thus bitcoin ASICs are designed to hash this type of encryption. Bitcoin ASIC’s can only be used to mine coins that use the SHA 256 hashing algorithm, such as Peercoin or Namecoin. They cannot be used on Litecoin or Dogecoin, which used scrypt. This is not the case for GPU’s which can generally be used to mine any cryptocurrency. The effectiveness of a bitcoin ASIC is a function of its hash rate, its efficiency and of course its price. The hash rate is the power of the machine and the efficiency is the energy it costs to run. Bitcoin ASICs can also be modified or tweaked to generate more efficiency and power. This is done by varying the clock frequency and by adjusting the voltage provided to the chip. This makes it hard to compare chips directly, though the market certainly has favorites. Modern ASICs often include entire microprocessors as well as memory blocks including ROM, RAM, EEPROM and flash memory and other large building blocks. ASICs can be very loud, which is something to consider when purchasing. This is essentially the power of the mining rig, the most important variable. It is currently measured in tera hash per second (TH/s). The higher the hash rate, the higher the chances of solving the puzzle before someone else. The most powerful ASICs available will have around 14 tera hash per second, such as the Bitmain Antminer S9. A Tera hash is 1000 Giga Hash. An algorithm that takes a string as an input and outputs a string. If the sting is accepted by other miners, it is a solution to the block and the transaction is verified. The method of validating transactions on the blockchain by showing your proof to other miners who verify your solution is correct. Bitcoin uses this method. Transactions on the blockchain are mined/forged by people who have larger stakes/shares judged by the amount of the cryptocurrency held. This method is used by DASH, PIVX and NEO. A node is a computer that runs the bitcoin software which help to keep the bitcoin network running by leaving a certain port open. This takes energy and storage space. Nodes are most commonly miners, though this is not a condition to run a node. A group of miners who combine their computing/hashing power in order to reduce variance and maintain a steady income of cryptocurrencies is called a pool. A public ledger of records where transactions are validated by miners. Once transactions are verified they cannot be changed. The difficulty of mining bitcoin is adjusted every 2016 blocks/2 weeks. This is called the network difficulty and it can seriously affect your bottom line if it increases significantly. The reward for solving a puzzle, which halves every 4 years. It is currently 12.5 bitcoins and will be 6.25 in 2020. The purpose of bitcoin is decentralization of power, so corruption cannot ensue. Many suggest that powerful mining pools will centralize decisions to the miners. The following is a list of the top 5 bitcoin miners at the time of this writing, factoring in the efficiency and hashing power of the machine. The market is currently dominated by a Chinese company called Bitmain, but this is set to change as 2018 rolls onwards. Note that the prices on these models can change quickly relative to supply and demand. This machine retails at $2,320 from the Bitmain website and is definitely not cheap. But it is the best there is. You also need to pay another $200 for the power supply unit. It has a gigantic hash rate of 14 tera hash per second and is incredibly efficient, at less than .01 joule per giga hash per second. 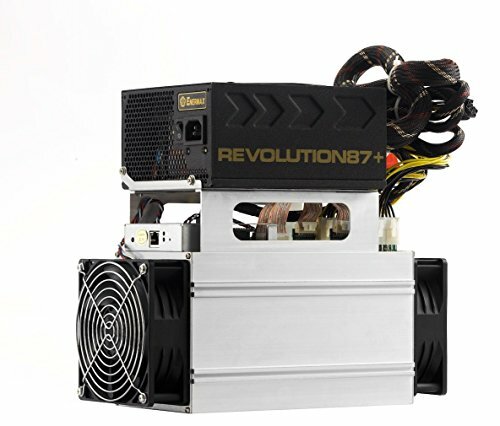 This make it almost 3 times as efficient as the popular Antminer S7. This is due to its use of the 16 nanometer technology, which is an improvement on the other miners which use a 28 nanometer design. It is the most efficient bitcoin miner on the planet right now. While expensive, some of these machines are for sale and can be bought at a nice discount. The weight of the S9 is only 5.5 kg. This miner has many similarities to the S9. It uses the same 16 nanometer technology and was released in January 2017. It features a highly impressive 11.5 tera hash per second. It is much the same as the T9, just being slightly less efficient, slightly less powerful, and slightly less costly. The T9 retails at $2,008. Still a very good machine, but why not just get the best for $200 extra? The T9s are better in terms of reliability. For people with lots of mining rigs, reliability can beat efficiency and hashing power, and the T9s have a better warranty, with a 180-day warranty as opposed to the S9s’ 90-day warranty. 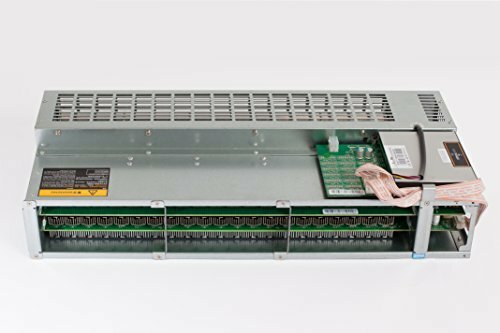 The Antminer R4 has a hash rate of 8.4 tera hash per second and is very efficient with an amazing .098 Joule per giga hash per second. This R4 miner is much less noisy than other Bitcoin miners due to its unique cooling system using silent fans. 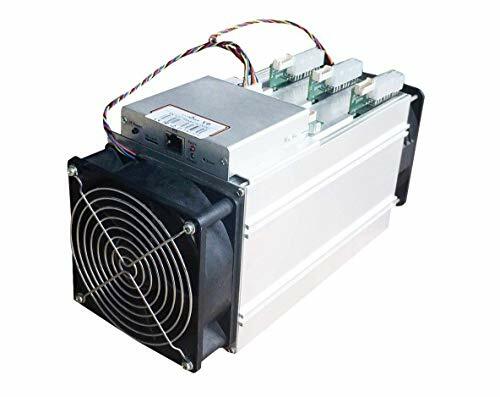 The power consumption is 845 Watts and like most of the miners, an additional PSU is needed, but in this instance, it is a special type of PSU that costs $240 and is also silent. This model is available for pre-order for around $1,250 and is marketed as a home mining rig due to its efficiency and silence, user interface, and cooling system. The S7 is quite a step down from the S9 in terms of hash rate. It generates 4.73 tera hash per second and its efficiency is .25 Joule per giga hash per second. On the flip side, it is very reasonably priced at $440 and might be more suitable for miners on a budget. It can be quite noisy. The S7 is powered by a 28nm BM1385 ASIC chip. 135 of these chips are spread across 3 boards and kept cool by dual fans. 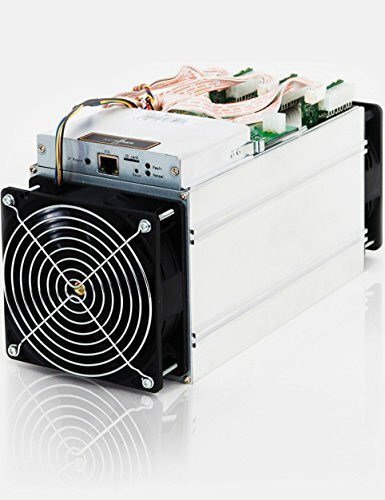 This is a very popular model and it offers quite a high hash rate for the power generated. It was originally priced at $2,000 before being replaced with the S9. It can now be obtained from the Bitmain website for $440 when in stock. A high-end power supply unit is needed with the S7, which could jack up the price a little. This popular model was released in mid-2015 and was popular until the release of the S9 in mid 2016. Bitmain are now taking orders for this new product to be shipped in April 2018. It has an output of 4 tera hash per second along with a power consumption of 1,000 Watts. The cost of this unit is quite reasonable, $345 from the Bitmain site. However, the minimum order quantity is 5 of these units. The power supply unit is not included with this purchase and is an additional cost, which could be between $100 and $300 depending on the PSU you choose for each machine. Minimum power for the PSU is 1,500 Watts. The bitcoin hardware market is currently dominated by Bitmain, but there is soon going to be stiff competition. Bitmain are a Chinese-based company and several other manufacturers have announced that they intend to enter the market with cutting edge equipment as early as April 2018. These companies include Russian Mining Company RMC One, of which the co-founder is an advisor to Vladimir Putin. The name of their miner is the Sunrise S11i, but miners must join a certain pool in order to use the rig. In other words, Vladimir Putin seems to be entering the bitcoin game at the mining level, which could be a centralization signal with the involvement of government forces. The price for joining the pool is also said to be incredibly steep, up to 4 tera hash of the hashing power of the machine. The specs of this machine are impressive, with 22 tera hash per second and using 14 nanometer technology. 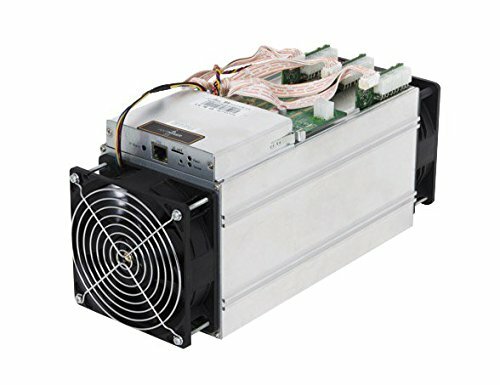 Another company entering the market is Haling Mining from China with their Dragon Mint 16 T Miners. If the statements from the company are to be believed, this will indeed be the most efficient bitcoin miner aside from the S11i when it is released. It is said to operate at 16 tera hash per second and is 30% cooler when compared to the S9 (heat is a huge side effect of Bitcoin mining). Two large Japanese conglomerates are rapidly expanding into the bitcoin hardware space. GMO Group, the largest internet service provider in Japan, stated they intend to invest nearly $10 million over the next few years. One thing for certain is that the bitcoin hardware industry is going to be seriously shaken up in 2018, and there are going to be many new machines to rival the Antminer S9, which will hopefully push the prices down. At present, the Antminer S9 still reigns supreme. But with so many alternative options entering the marketplace, this will not be the case for long. These products include the Avalon 821 (11 tera hash per second), the Ebit E10 (18 tera hash per second), the Ebit 9++ (14 tera hash per second) and the Whats Miner M3 (11.5 tera hash per second). It is possible to mine bitcoins without hardware by means of cloud mining. This has the added advantage of no hardware, no upfront costs, no heat generated from the mining rigs, no increased electricity bills, and no ventilation problems. The disadvantage is that most of these operations are scams which do not give any return. Beginners are advised to avoid at all costs and never pay any fees upfront. The scam actually uses your computing power without ever intending to give you any bitcoins. You can identify a scam by checking if the domain name is hidden or if they fail to show proof of equipment. In many cases they will initially pay funds to clients to give the veneer of respectability, using the joining fees, but after a certain time period has elapsed, they will vanish. There are 3 primary ways to bitcoin mine with no hardware. The first is to rent a machine hosted by the owner. The second is to set up a virtual private server and install your own mining software. And the last and most common way is to lease a certain amount of your hashing power without having any dedicated computer. This works, but the amount of bitcoins you receive are going to be tiny because you need an ASIC to generate significant amounts of bitcoin. Of course, there are most likely ways to make money, and there are some authentic cloud mining operators. But it is a risky sector and, in most cases, an investment that does not make real sense. The operators are also going to have higher fees to cover their costs. And many have contracts stipulating mining operations will cease depending on the price of bitcoin, putting a cap on your earnings. The numbers have to add up beforehand and even so, it is still a risk. It is simply easier in general to steer clear of bitcoin cloud mining pools. Many bitcoin ASICs come with software, which makes it very easy to connect to mining pools, such as the Antminer R4. User-friendly interfaces make all the difference as opposed to messing around with the command line and connecting ports. But you can also easily integrate bitcoin ASICs with some of the better known bitcoin mining software. Bitcoin software is needed to connect your mining rig to the mining pool and to the blockchain itself. Bitcoin software will generate useful statistics on the display such as the speed, efficiency, and temperature of your mining rig. The two most common bitcoin software clients are CG Miner and BFG Miner. They are both free and easy to use. Easy Miner is a wrapper over these two clients and is essentially a data visualization tool. CG Miner and BFG Miner are compatible with bitcoin ASIC miners, while many other software clients are not. For Mac OS, RPC Miner and Diablo Miner are good options with nice graphical user interfaces. Once you have your client downloaded, the process is usually very streamlined. You will be asked to input your wallet address to receive your earned bitcoins. And you will be asked to select a pool that you want to join. You will also be asked for a username and password for whatever mining pool you join. Depending on the mining software, there may be some additional steps, but generally these are the standard prerequisites. When using bitcoin software, it is important to configure your computer so that it does not go to sleep or restart for updates, as this can cost you. The idea is that your computer is mining at all times. One area where bitcoin mining is easier than other cryptocurrencies is that of software. There are a wide variety of programs to choose from and they are easy to use. This can be contrasted to the software of newer cryptocurrencies which can be a lot more technical, especially when it comes to connecting to mining pools. Bitcoin mining is a viciously tough industry that is costly and is not profitable for anybody without a huge operation that can benefit from economies of scale, or in areas where electricity costs are at an absolute minimum. Aside from large farming operations, most miners are technology enthusiasts who love to mine for the fun of it, usually losing a small bit of money each week. But 2018 is going to see a host of new ASIC technologies, which could make mining profitable. There is always a way to win and it is an innovative sector. And along with new hardware technologies which could be cheaper, faster, and more efficient, the price of Bitcoin itself is largely expected to rise. Many believe that its current price of $8,000 is a bargain relative to all-time highs of $19,545.